Image is everything and a good set of photographs to use in promoting your image is something every band or musician should have in their arsenal. Let me help, for very reasonable rates. I can supply up to 40 high quality professionally edited photos that can be used to promote yourself or your band. You choose the location, style of shoot (because you now how you want to be presented) and we can work together on the day to get some great and inspiring poses. Prices for the photo-shoot start at $150 for up to 2 hours of photography, anything over 2 hours will be charged at $50 an hour. Working with you, to make sure the photos you end up with suit your style (might be black and white, might be rich vivid colours or dark and moody it’s up to you). Images can the be provided on thumb drive or uploaded to Google Drive for you to download and use as you feel. Prices start at $50 for the first 40 edited photos. Modifications or extra photo processing will be charged at $50 per hour. But because I work with you during the process needing extra edits will be kept to a minimum. Enhanced colours to make the guitar pop. Image resized and cropped for use as a Spotify Banner. It is important to have your images out there in cyberspace, so have good photos to add to Instagram, Twitter, Facebook, Apple music, Spotify to name a few is almost a necessity. I can provide any of the edited photos cropped and sized to suit these platforms. My package includes one photo for each platform cropped and sized to suit. After the photos I can turn them into cover artwork. Pricing will vary depending on your requirements, but they start at $200 for basic layout and design of the cover, which could be for a CD sleeve which has a front, double inside and a back cover as well as CD art. Again, I will work with you to ensure that you are presenting yourself in the best possible and economical way. 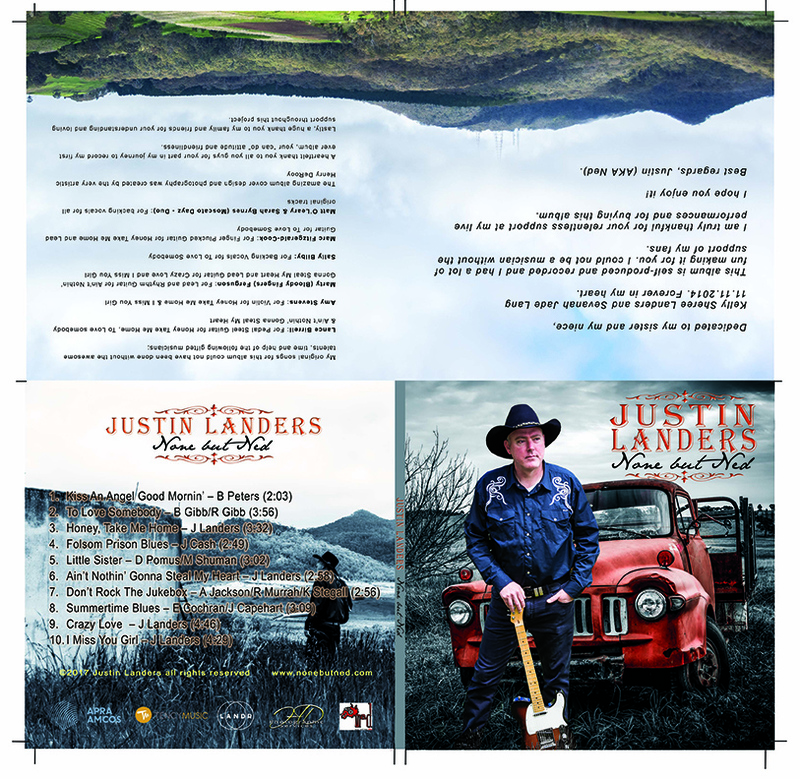 Typical “CD Sleeve” Layout design.